All libraries are "proofs of concept" that show how to make a simple interface between your application and the API server. They are provided with sample test code that accesses several features of a PitchLeads site using this interface. 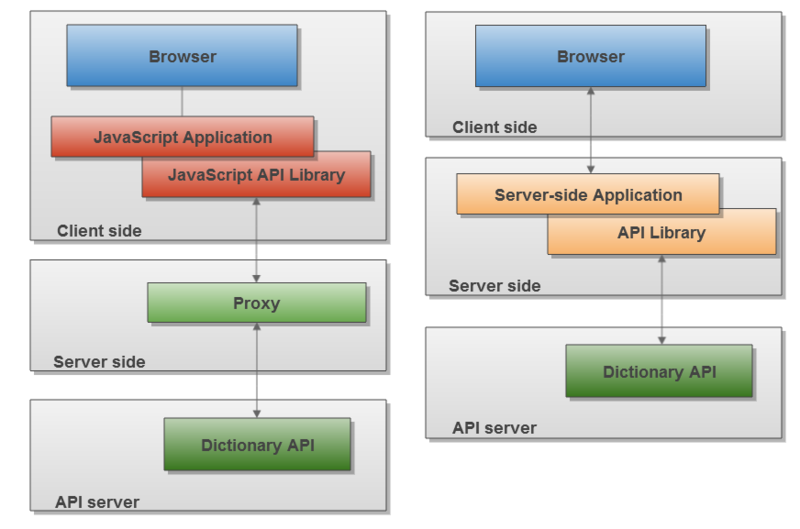 For security reasons, it is recommended that the API and these libraries are only used in server-side applications in a client-server architecture. They should not be used in client-side applications. You can integrate this library into many Java applications that perform HTTPS requests. In the sample, using the library simplifies the request process to the API server and directly returns the result object in string form. You can integrate this library into many C# applications that perform HTTPS requests. Note: the library requires Microsoft .NET Framework 4 (http://www.microsoft.com/en-us/download/details.aspx?id=17851). The sample is written as a Microsoft Visual Studio 10 project. The Objective-C library is presented as an Xcode solution. It contains a test program usable in command line. You can integrate this library into many Perl applications that perform HTTPS requests. Note: the sample code requires the LWP (http://search.cpan.org/~gaas/libwww-perl-6.04/), URI::Encode (http://search.cpan.org/~mithun/URI-Encode-0.07/) and JSON (http://search.cpan.org/~makamaka/JSON-2.53/) packages. You can integrate this library into many PHP applications that perform HTTPS requests. You have also acces to a web sample, you can view how to have a dictionary list, how to use it for a select box, how to make a search and display the results or an entry. Note: the sample code requires the cURL (http://php.net/manual/fr/book.curl.php) and JSON (http://php.net/manual/en/book.json.php) modules. You can integrate this library into many Ruby applications that perform HTTPS requests. Note: the sample code requires the JSON for ruby (http://flori.github.com/json/) package. It was tested with Ruby 1.9.1 (http://www.ruby-lang.org/en/). You can integrate this library into many Python applications that perform HTTPS requests. Note: the library and sample are written for Python 2.6 (http://python.org/). The sample use the default JSON package (http://docs.python.org/2/library/json.html). In the sample, using the library simplifies the request process to the API server and directly give you the result object in string form. The functionalities are the same than above, except the API object initialization. If you use Apache server and have access to your configuration you can configure it to use as a proxy. Note: Some modules need to be activated to works: mod_headers (http://httpd.apache.org/docs/2.0/mod/mod_headers.html) and mod_proxy (http://httpd.apache.org/docs/2.4/fr/mod/mod_proxy.html). When you use this proxy system, you can easily integrate your own authentication procedure or log system. Note: The provided PHP proxy use the standard socket system of PHP so it must be working on almost all system.